We're big fans of David Fincher here at Nerd Nuptial and we're even bigger fans of David Fincher teaming up with Netflix (see House of Cards). So when we heard that Fincher was developing a new show with them AND it was going to on serial killers, needless to say, we were excited. 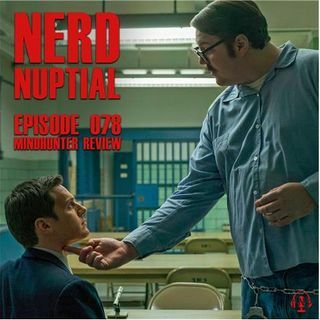 Mindhunter follows two FBI agents as the interview serial killers around the country and try to see how they think. This takes place ... See More in the 1970s before it was commonplace for the FBI to profile and anticipate crime instead of just responding to it. Mindhunter is a graphic show so please keep that in mind before you watch. We start the show with our spoiler-free impressions.